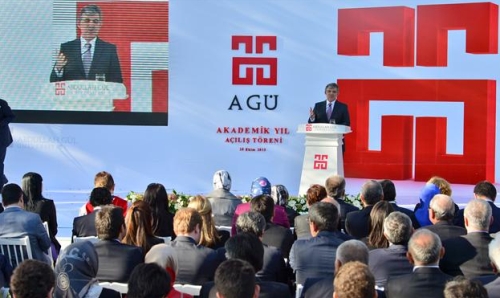 Apply for the chance to study at the Abdullah Gül University (AGU), in Kayseri, with a 100% Tuition Scholarship! TUITION SCHOLARSHIPS ̶ No Tuition fees will be charged for the entirety of the student’s undergraduate studies at AGU (except for the pre-registration deposit**). These scholarships are awarded to Faculty students only and will cover the entire duration of the program the student applied for and will be deducted from the Fees & Costs students are asked to pay. Schoarship awardess will have the opportunity to study in a 4-year undergraduate program in one of the best universities in Turkey*! Aside from its very low tuition fees, AGU also offers very affordable on-campus student accommodation. Without the tuition fee payments, AGU students will be receiving a top quality education in English (from high profile international and Turkish professors with international experience) for a very low dorms fee. Kayseri, our hometown, has the added advantage of offering living expenses three times lower than Istanbul or Ankara. The Abdullah Gül University applies the above-mentioned criteria, as well as the YÖK (Turkish Higher Education Council) approved eligibility criteria, which can be found on page 8. 2. All undergraduate applicants are automatically considered for our Scholarship opportunity. Now that all the information about Turkish Scholarships for International Students at Abdullah Gül University has been delivered nicely; talented students who are eager to pursue their Free Tuition/Scholarships/Study in Turkey for Undergraduate, Bachelors, Postgraduate, Masters, PhD, Associate Degree and Other Degrees, can apply now.